So you want to do business in the Philippines, but you don’t know how to get a business license in the Philippines or deal with the government. Any foreigner wanting to do business in the Philippines needs to understand the legal process and national and municipal requirements particular to the country. There are reams of information available online and on Philippine Government web sites. Moreover, hiring a local business consultant will help you navigate through the red tape. There is one part of setting up a business in the Philippines that is not discussed too often in detail by Business Consultancies – and that is – the Barangay. The barangay is the smallest administrative sub-division in the Philippines. It is the basic unit of government, and under the administrative supervision of cities and municipalities. Consider the Barangay as a village within a city. Generally, small, with as little as 15 families and covering just a couple of city blocks, the largest barangay in the Philippines covers 524 hectares and has over 245,000 residents. As of 2014, there are 42,028 barangays in the Philippines. It is somewhat important to understand this part of Filipino life because after all is said and done getting a business established in the Philippines, the Barangay is where the business will be operating. You are essentially a guest in their house. 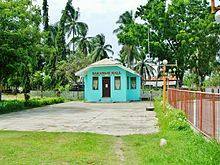 The Chief Executive of the village is The Punong Barangay, properly addressed as Kapitan, also known as the Barangay Captain or Barangay Chairman. Think of them as the chief of the village. It is a good idea to get to know them somewhat. Barangays are permitted to accept donations from businesses, so helping the Barangay to build a basketball court can be great for public relations. The Sangguniang Barangay (the Barangay Council) has seven Councilors (Barangay Kagawad) and the chairman of Youth Council or Sangguniang Kabataan (SK), for eight Sangguniang Barangay Councilors. Elections for the Barangay Captain and the councilors take place every three years. The non-partisan barangay elections tend to be taken quite seriously as the posts are highly coveted. The barangay hall is seat of local government and is the center for many community activities. They usually have a basketball court or at least one somewhere nearby, as this is one of the favorite pastimes of the Filipinos, along with cockfighting. Depending on the size of the barangay, they have a number of unarmed police officers called Tanod that take care of law and order issues within the neighborhood. The Barangay is funded by revenues collected from local and external sources. Local sources include tax revenues from the Real Property Tax (RPT), taxes on businesses, and non-tax revenues from fees and charges. They also receive a share of taxes collected nationwide by the Bureau of Internal Revenue – The Internal Revenue Allotment (IRA). 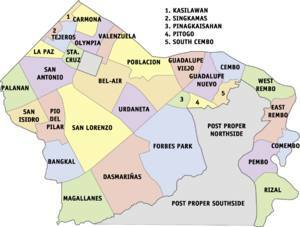 The barangays get a percentage of the RPT collected by the municipality where they are located. Real property includes all forms of land, buildings, improvements, and machinery. Exemptions exist for properties owned by government, charitable, institutions, churches, and cooperatives. Companies that supply water and electric power are also not subject to taxes as well as equipment used for pollution control and environmental protection. The IRA is a 20% share of taxes collected 3 years earlier by the Bureau of Internal Revenue. The Internal Revenue Allotment (IRA) that each barangay receives is calculated by a formula of 60 percent (60%) population and 40 percent (40%) equal sharing. In 2014, they will share an IRA of P68.3 billion, a P7.8 billion increase from 2013s P60.5 billion IRA. The Barangay has a Justice System or Katarungang Pambarangay. The barangay captain heads a committee called the “Lupon Tagapamayapa” (Justice of the peace) to mediate and settle disputes at the Barangay level. They do not have judicial powers as a court does, but rather attempt to resolve issues so the parties can avoid going to court. If your company has a complaint against some other business or persons, such as for example – they are building a fence or other structure on what you consider your property, you may take it to the Justice of the Peace of the Barangay. When the chairperson of the committee, usually the Kapitan, receives a complaint, Barangay law requires him to inform the parties and set a meeting for mediation the following day. If after 15 days there is no resolution, than a more formal hearing involving the pangkat or body, must be set. If there is still no end to the dispute in another 15 days, then the complainant may file the case in the regional trial court. In order to set up any business in the Philippines, you will need Barangay Clearance from the Barangay where your business will be located. 3. Location plan/site map and contract of lease. Fees will vary in each Barangay since they have the discretion to impose their own fees and charges as long as these fees are reasonable, and within the limits set by the Local Government Code and city ordinances. If you are interested in starting a business in the Philippines and want help from professionals, contact the DBC Team now for a free consultation. We have extensive experience with dealing with barangays and going through the process of establishing businesses in the Philippines.